Who are our modern day heroes, the folks whose words and deeds inspire us to do meaningful, important, and joyous things with our lives? 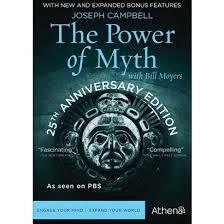 I’ve been watching a 1981 interview with mythologist Joseph Campbell, conducted by Bill Moyers. It’s a bonus add-on to the 25th anniversary edition of “The Power of Myth,” a celebrated PBS series featuring Moyers’s extended interviews with Campbell later in the decade, right before Campbell’s passing. During the interview, Moyers asks Campbell whether our modern age (circa 1981, of course) is capable of generating true heroes. Campbell demurs, observing that the fast pace of modern life and our worship of fame and celebrity have made it very difficult for our culture to produce genuine heroic figures. For example, take the high tech guys. Steve Jobs. Bill Gates. Mark Zuckerberg. And gals, like Sheryl Sandberg. Or perhaps Donald Trump for wannabe moguls. But perhaps all is not lost. Possibly our more contemporary personal heroes are weird, to borrow from the title of a book by author and entrepreneur Seth Godin. Godin’s 2011 book, We All Are Weird, centers on a culture shift. He suggests that the vast array of choices we have leads us to find niches of interest that may not be shared by everyone. Music, food, reading, you name it. It means that we’re all a little bit weird in our tastes and preferences. So let’s apply Godin’s ideas to our search for modern day heroes. Maybe we don’t have as many mega-heroes as in days gone by. Instead, we may find our heroes in our respective niches. For example, my biggest hero in the law is Anthony Amsterdam, a professor at NYU’s law school. You may not have heard of him, but Tony enjoys legendary status among many public interest lawyers for his civil rights work. Tales of his prodigious intelligence and work ethic have taken on mythic (and mostly true) proportions. Tony also is a very influential legal educator and legal scholar. You can read a wonderful profile of him by Nadya Labi here. My late mom, Betty Yamada, was a kindergarten teacher at a low-income school in Indiana. To some of those kids, she was the most stable and caring adult presence in their lives. After she retired, she volunteered for Meals on Wheels, Habitat for Humanity, and a local hospice. She did it all without fanfare, and she was a great mom too. My late friend John Ohliger was a pioneering adult educator, writer, and activist who continually challenged the educational status quo and was a devoted lifelong learner. John tilted at windmills. His work cut across traditional boundaries and disciplines. I don’t know if I would be writing this blog if I hadn’t met him. From these heroes and others, I continually draw lessons and inspiration, and I am a better person today as a result. Isn’t the power of example one of the most special long-term gifts provided by any real hero? So here’s to our search for heroes extending well beyond the obvious and iconic figures known to many. Instead, let’s identify the extraordinary folks who have had a more direct and special influence in our lives. This is my 1,000th blog post. Thanks for reading so far!